Last night in Raleigh, North Carolina, there was a great convergence of people interested in fashion and design with others interested in fostering entrepreneurship. The Raleigh Emerging Designers Innovation Incubator (REDii) Launch Party was held at Solas restaurant and lounge on Glenwood South. Approximately 300 people turned out for the three hour event, which featured Kitty Kinin from local radio station 100.7, the River, as emcee. During the course of the gala, there was a fashion show with over 20 designers featuring their work, a silent auction for a live painting of the event, and much power networking to be enjoyed. The goal of the evening was to raise money for the support of the new REDii space at 131 S Wilmington St and its participants. EntreDot, the not-for-profit who is responsible for the event and the incubator, seeks to supply retail display space for emerging designers locally in the apparel, jewelry, handbag, and related category niche(s) with a caveat: the designers will be more successful if enrolled in some educational courses on entrepreneurial best practices and paired with a mentor. Accordingly, as is mentioned on the website: www.rediiraleigh.org, those who are approved to exhibit their designs are required to sign up for assistance. The intent is to wed right brain and left brain competencies and mindsets to create something wonderful and, in the process, become a catalyst in the establishment of a Fashion District in Raleigh which, while it may not be as tight geographically as some of the fashion destinations across the country, will unite the community around great design elements and the opportunity to both buy local and support talent that may otherwise migrate elsewhere. The two young women, who met as Harvard University undergrads and reconnected at Harvard Business School in 2002, launched Gilt Groupe in 2007 as a way to bring designer sample sales online. In the process, they upended the way women shop and made 11 a.m. Central time (the moment new merchandise goes up daily) a witching hour for corporate women, who click over from Excel sheets and status reports to snag pieces from Carolina Herrera, Dolce & Gabbana, Zac Posen, et al. Ms. Maybank and Ms. Wilson also created a New York-based company that’s now valued at $1 billion, has more than 1,000 employees and runs sales in 36 cities in 14 countries. Seek out partners with complementary, not necessarily similar, personalities. The folks at EntreDot are attempting to reinforce these principles with the REDii target crowd. During the event, it was noted that not enough well-heeled investor-types were present to maximize either the fundraising effort or the introductions to talented designers who, upon completion of their training, will need access to capital in most cases. In our community, angel and venture capital has been raised successfully for life science and technology companies. it will be a wonderful day to witness when the same can be said of the local fashion and design entrepreneurship niche! Please support this effort through introductions, volunteering as a mentor or instructor, or sponsorship as you are able. Want to Check Out Posh Raleigh? Raleigh is a hotbed of fashion activity. Did you know that North Carolina State University (NCSU) has one of the best textile colleges in the world? 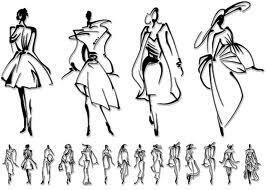 Not to be outdone, NCSU’s College of Design has programs that help students become fashion designers. Both of these institutions graduate dozens and dozens of innovative fashion design professionals every year. Wow, what a resource we have to create some of the most highly educated and creative fashion design entrepreneurs. You can meet many of these creative people in all the fashion venues around town, from downtown Raleigh, to Cameron Village, Crabtree Valley Mall, Triangle Town Center, North Hills and many other shopping centers. Next time you are in one of these places, take a look around and you will see them dispersed throughout these retail centers. It is possible that you don’t know of all the fashion events that occur in our area. NCSU is the most current with its international fashion event held at the University, where some of the most influential fashion professionals are meeting and showing the latest fashion trends. Watch the blogs and news outlets for events like FashionSpark, Triangle Fashion Week, and Redress Raleigh. Look for the advertising of fashion events occurring throughout downtown Raleigh at restaurants and other venues. Hmmm, seems to be a fashion happening place. Have you ever visited Cotton, Inc, Spoonflower or TC2 where new innovations in fashion as well as wonderful supportive resources that support the fashion community exist? Some of these are new, but others have been in town for over 30 years. Did you know that? These and many other fashion facts are what EntreDot® found when it did its research to justify putting a fashion innovation center in downtown Raleigh. We found that Raleigh indeed has a fashion district but it just doesn’t look like the one in New York or Los Angeles. Of course it is much smaller. However, it is substantial, innovative and enthusiastic, but spread out all over town. That’s the way it is and probably always will be. So, we need to do some special things to tie it all together as a community, make it obvious that we are a fashion destination and celebrate the fact. This is where REDii comes in. REDii is the first fashion design innovation center, and part of Innovate Raleigh’s innovation center concept. This will be one of many innovation centers supporting many industries that will be emerging throughout Raleigh. REDii will start the buzz about the fashion community in Raleigh, with much more to come.